Investigating into taking your CBT test in Hackney is the first step to experiencing riding some of the roads around the East End of London, or even the Tottenham area. You can expect your CBT - which stands for Compulsory Basic Training - to last up to 8 hours and all you need to complete it is a UK provisional licence and to be at least 16 years of age. Although it is commonly referred to as the CBT test, you don’t have to worry about failing because the CBT is more like a day of instruction, with the end goal of making you a safe motorcycle or scooter rider. It’s motorcycle training, not theoretically a test. Want to know more about the day itself? Here’s what a full CBT test entails. What does the CBT involve in Hackney? During your CBT, the instructor will test you on your knowledge of the highway code, so it’s wise to spend a little bit of time studying this to make sure you know the basics. To do this, we really do recommend using YouTube. It’s easier than ever to prepare for your CBT, and there are plenty of YouTube videos detailing the CBT itself. What equipment do I need for the CBT? 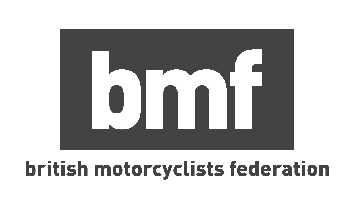 You don’t need to worry about buying your own motorcycle or scooter prior to your CBT in Hackney, or purchasing your own protective equipment - in fact we would highly recommend that you wait until you’ve had your CBT training session before considering any purchase. As for clothing on the day, you’ll want to wear some thick jeans and sturdy boots that cover your ankles, and even a light rain can make a dramatic difference regardless of whether you’re riding a motorcycle or scooter on your CBT training day, so pack extra layers or some waterproofs if you need to. What kind of bike can I ride with my CBT? We really do recommend completing your CBT on whatever type of machine you are likely to be using once you have completed your CBT, because there are a few differences between the two kind of machines. We would suggest that it’s always best to be comfortable road riding on the style of bike that you are used to. If you are keen on a scooter however, in our opinion, these are the best scooters and motorcycles for commuting on the market today. If, once you’ve completed your CBT course, you’re happy to stick to a bike no larger than 125cc you’ll have to refresh your CBT test every two years. Life on two wheels is pretty good, but why not earn money while you’re riding? There are numerous companies around Hackney all looking for reliable delivery riders, so put your new skill to good use! If you fancy earning a bit of extra cash, head over to our delivery jobs to find a job and that CBT cost will have paid for itself in no time. If you haven’t taken your CBT test in Hackney yet, don’t worry. You can still start applying for interviews and book your CBT test with RideTo. We’ll have you on the road and earning money in no time.